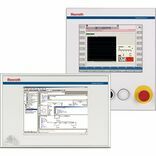 With the embedded panel PCs and embedded terminal PCs VEP, machines can be operated simply and comfortably via touchscreen or virtual keyboard. The PC-similar equipment only uses embedded components for a robust construction. 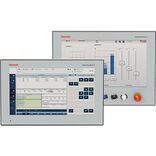 With its variety of interfaces and plug-in slots, the VEP devices can be adapted ideally to different machine and system requirements. This flexibility enables the best possible visualization and operation of your system in combination with the WinStudio software tool.